From the time the actor paired with Nayanthara in Kollamavu Kokila, it is Yogi Babu everywhere in K town – in the news, on the film sets of big stars, in the trailer launch or audio functions of films. The current comedy sensation is literally everywhere. Producers in K town are lining up to bring the comedian on board for their projects while the actor is busy signing up projects as hero. Such is the demand and popularity of the comedian in the industry right now. The comedian turned hero is currently gearing up for the release of his next naughty horror film Zombie under the directorial of director Bhuvan Nullan. The film comes under a peculiar genre as it has the Tamil Bigg Boss fame actress Yashika Aanand. The film that is shot in a 3D format also features Nikki Tamboli. Casting of these two beautiful and glamorous actresses has raised the temperature of the young audience in the state already. While the actor has wrapped up the shoot for the project the actor has signed yet another film as hero. The film is set to be directed by Murugan and is said to be a story that would deal with birds. So the film is aptly titled Cocktail. Will the film be inspired from our Thalaivar’s 2.0? Guess we will have to wait for few months to know about it. But for now we have an interesting news about the project. The actor who stunned the K town by starring against Lady super star Nayanthara is set to romance an actress from abroad. This news is going to set the internet on fire for a while and we are damn sure about it. It is said that the bird has undergone intense training to play the role. 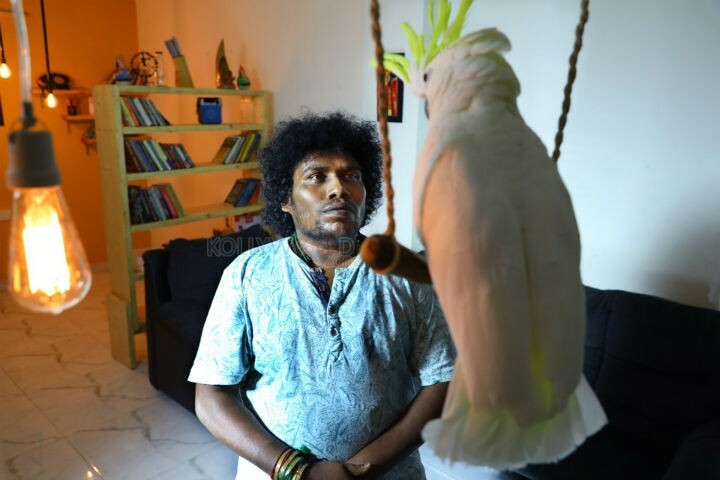 It seems like a year of animals in Kollywood as last week we witnessed an amazing performance by Bruno a Golden Retriever in Watchman, and we are set to witness the act of a chimpanzee in Jiiva starrer Gorilla and now Cocktail has joined the list which is set to depict the act of a bird.